In what once seemed like an unlikely partnership, Spotify and Google are teaming up to give free Chromecasts to new Spotify Premium subscribers. The free Chromecast deal is valid until February 28 and requires a three-month membership to Spotify Premium, which costs $10 per month. 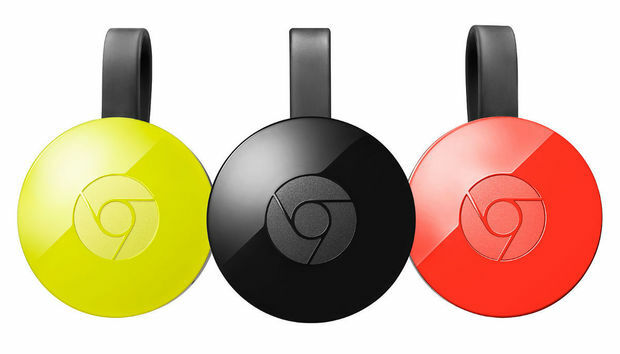 In exchange, subscribers get a free second-generation Chromecast, normally priced at $35. There’s just one catch: The deal is only for people who’ve never signed up for a Premium trial or paid for the service before. The story behind the story: Although Chromecast first launched in 2013, and quickly expanded its roster of supported music apps, Spotify avoided the device until last fall. We can only speculate on what took so long, but it’s possible Spotify didn’t want to back a platform on which Google could emphasize its own streaming music service. Still, with more than 20 million Chromecasts sold to date, it’s a tough platform for any streaming service to ignore. And as Apple Music’s subscriber count steadily ticks upward, Spotify needs all the exposure it can get. Are small cities better for tech start-ups? Can Brazil's problems actually fuel tech growth?